Hybrid electric vehicles have used an auto-stop/start function to lower battery and fuel consumption since they first hit the market. It's a great feature that can really make a difference, but its most commonly only been used on hybrids. 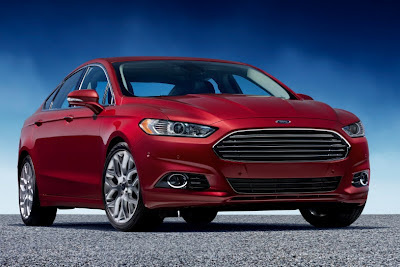 That's all about to change as the 2013 Ford Fusion will be the fist non-hybrid, mid-sized sedan to ever use the technology. So what does the EcoBoost 1.6-liter's new start/stop feature do, you ask? Well, it automatically turns off the engine when the car comes to a stop at a traffic light or stop sign. As soon as the driver releases the brake pedal the engine will instantly start and get you moving again. This way, when you're stuck at the never-ending Hilton Rd/Grand River Ave. stoplight you won't be wasting any gas! Obviously, savings will depend on the driving conditions and this feature would be most beneficial to drivers who spend a lot of time in congested, urban traffic. Either way, it's just one more reason we can't wait for the all-new 2013 Ford Fusion. The 2013 Ford Fusion will be available later this year and the auto-start/stop will be a $295 option sure to pay for itself over time. Until then, come into Brighton Ford and see our great selection of safe and award-winning New Ford Vehicles. Brighton Ford is located at 8240 Grand River Ave. just north of I-96 in Brighton. We are a family owned and operated business that strives on customer satisfaction. For more information on Brighton Ford, visit BrightonFord.com or give us a call at (800)-836-8206.